Veescope_vs_DoInk_FINAL from StarTime Studios on Vimeo. With over 10 years experience in providing schools with green screen filmmaking programs, and resources, we suggest starting with mobile devices: They are readily available in schools and have real-time capabilities which engage students easily. So your green screen is set up and your iPad is ready to go. Now you are just one step away from sending your students to Mars! 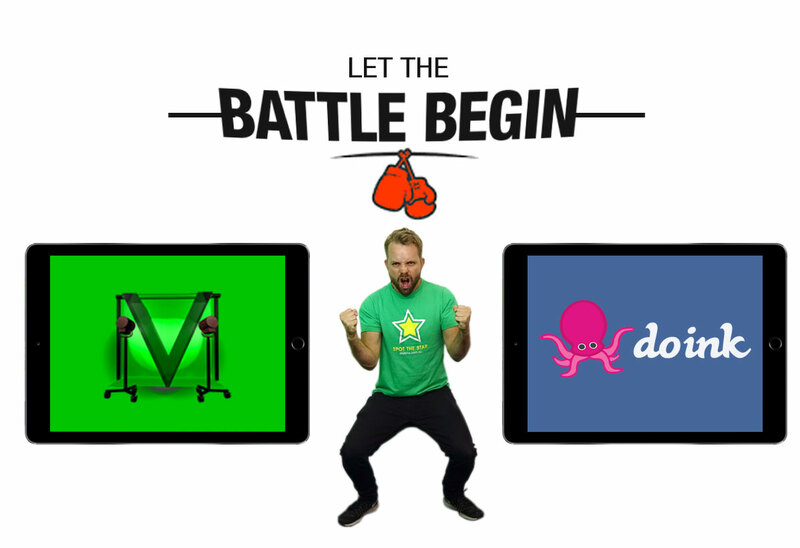 All you have to do now is download a green screen app and you are ready to go! What!? What even is a green screen app? How many are there? How much do they cost? What’s the best one? Are they hard to use? This little guide should clear up some of your concerns. Green Screen apps are simply the apps required to superimpose the images you want onto the green screen background. 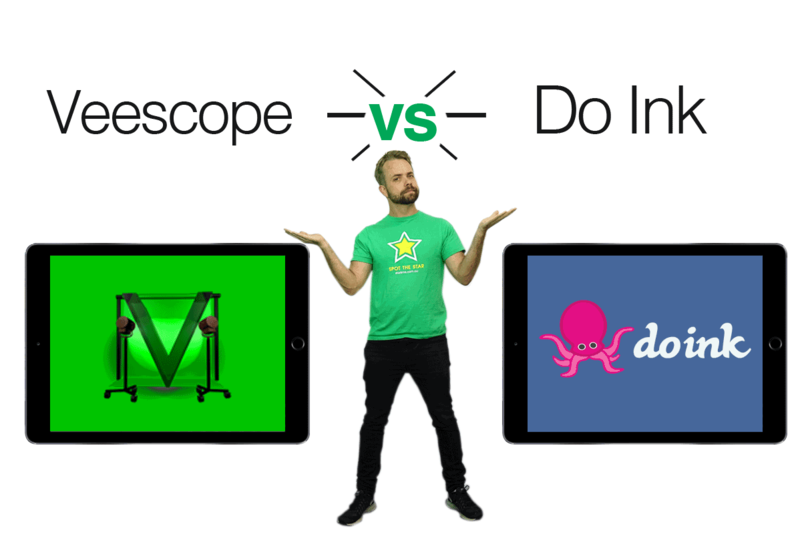 There are a few out there such as Veescope, DoInk and Green Screen Live Video Record. All of these apps will do the job of getting an image on the screen effectively enough but each of them differ in some of their other features, from adjusting light exposure to being able to add the backgrounds afterwards in the edit. So to guide you through, we’ve decided to take two of the better options on the market and pit them against each other in the ultimate battle, a duel for the ages, a fight to the death! Green screen technology can be thought about in layers. When you film in front of the green screen the image projected onto the screen could be considered the first layer and then whatever is shown in front of it, is considered the second layer. 2 layers which makes it simple to use. Do Ink wins this round easily being able to do exactly what Veescope does but providing a whole lot more! The Key basically means getting the quality and colour of the front image to match with the background image so it looks as ‘real’ as possible. Veescope wins the round on this one, offering much more control over your key rather than relying on the automatic function. Sound? I thought this was a green screen app who cares about sound!? Well, in actual fact these apps have different sound options that could affect your filmmaking significantly. I’m going to have to call this round a draw! DoInks multiple sound tracks opens up a world possibilities but for running a class and ensuring there isn’t a day of filming wasted, Veescope’s sound bars are invaluable. This round has to go to Veescope, having the free version so you can see how it works for yourself before you commit cuts out any stress of making the wrong decision. DoInks animation app is an amazing feature for more experienced students but it’s extra cost may not be worth it if you think you are starting from a more beginner level. Overall for entry level I think Veescope is the best option for making straight forward films such as news programs and school projects. However, if you want to go to the next level Do Ink provides you with a lot more sophisticated options. StarTime provide filmmaking equipment and incursions and professional development to help teachers achieve cross curricular priorities and general capabilities.